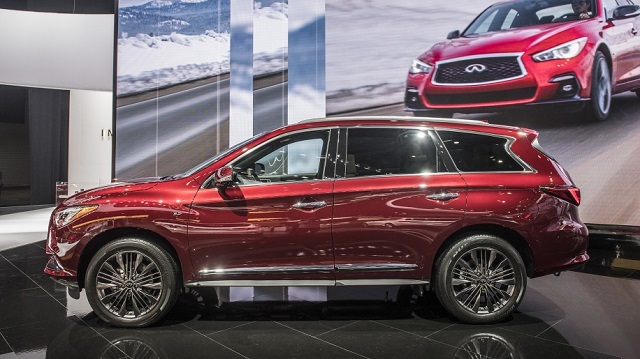 The 2019 Infiniti QX60 will continue without bigger changes, according to latest reports. Known for its spacious cabin, this crossover has been the first choice of many drivers for years. If you are a family oriented person but don’t want to sacrifice luxury and premium quality, this model could be the right choice for you. This model originally came in 2012. Despite its age, it is still pretty competitive thanks to the massive update that came two years ago. For that occasion, we have seen numerous upgrades in terms of styling, standard features and much more. 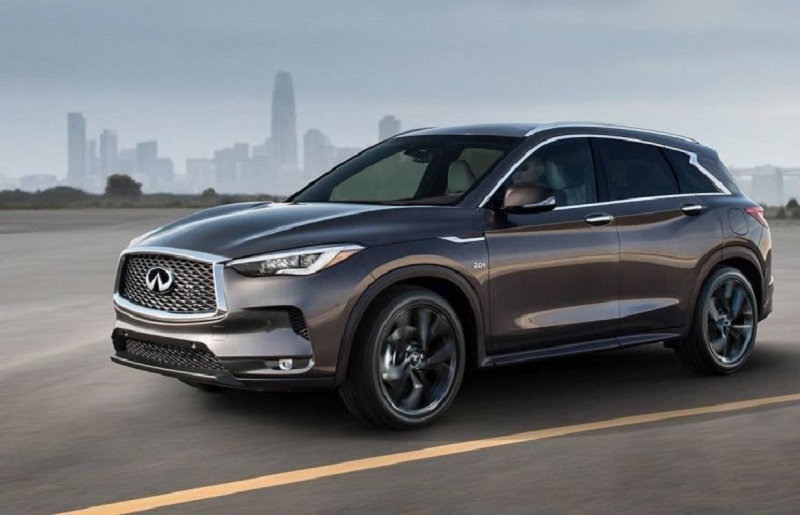 Considering all those changes, as well as the fact that this model should be redesigned in a year or two, it is pretty much for sure that 2019 QX60 will come without bigger changes. We are about to see pretty much the same crossover, with the same design and similar list of standard features. 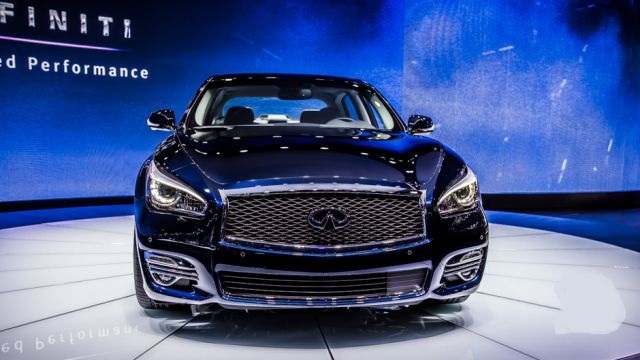 As we already mentioned, the 2019 Infiniti QX60 is about to come without bigger changes. This crossover has been around for more than six years but it is still competitive. Of course, there was a mid-cycle update, about two years ago. For that occasion, we saw various modifications. Of course, the focus was on the styling, on the front end in particular. The company introduced a new pair of headlights, new front fascia etc. At the rear end, we have seen new taillight and some other tweaks as well. Changes on the inside were also pretty intense. Of course, there were some tweaks to the dashboard. Still, the focus was on new standard equipment, so it’s not wondering that this crossover is among better-equipped models in the class, even nowadays. For the next year, only some minor tweaks in terms of new colors and interior schemes are expected. 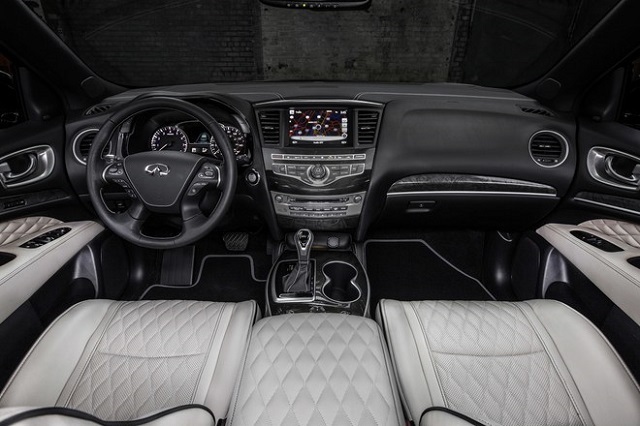 One of the 2019 Infiniti QX60’s main characteristics is a long list of standard equipment. The next-year model will continue in the same way, although we could see some additions as well. So far, base models were equipped with things like 18-inch wheels, automatic xenon headlights, LED foglights, heated side mirrors, a sunroof, a power liftgate, keyless entry, and ignition etc. On the inside, you can count on things like find leather upholstery, tri-zone automatic climate control, power-adjustable and heated front seats, a 60/40-split folding second row, a 50/50-split folding third row, Bluetooth connectivity, a 7-inch central touchscreen display, a rearview camera, and a six-speaker sound system with satellite radio, a CD player and much more. For the next year, we should see few additions as well. Of course, there are several optional packages in the offer too. 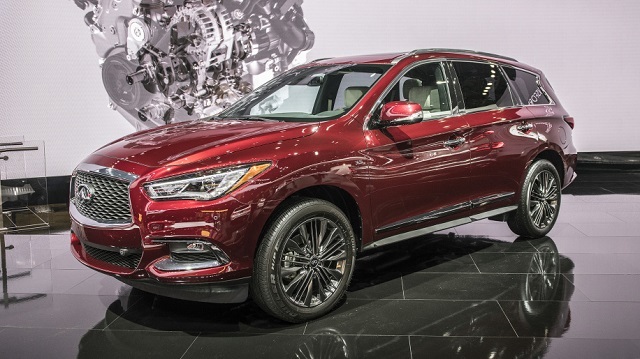 When it comes to powertrain, 2019 Infiniti QX60 will continue in the same way. It will come with a pretty capable 3.5-liter V6 engine unit. 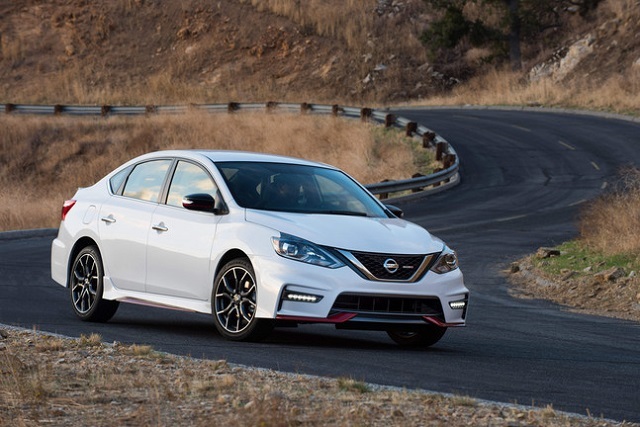 This engine delivers around 295 horsepower and 270 pound-feet of torque and comes in a pair with the CVT transmission. With such amount of power, performances are more than decent. For example, this crossover needs around 7.3 seconds to reach 60 mph. There is also a hybrid version in the offer. This version combines 2.5-liter four-cylinder gasoline engine with an electric motor. The overall output goes around 250 horsepower and 243 pound-feet of torque. 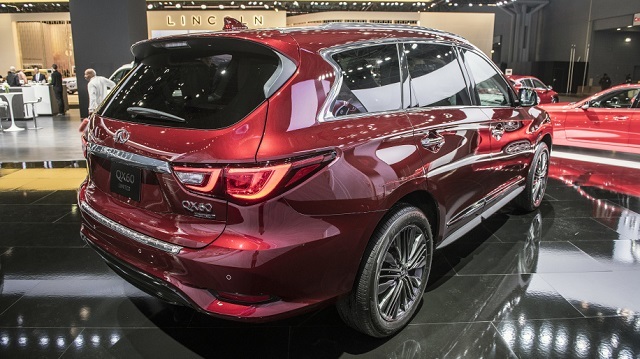 The 2019 Infiniti QX60 will come in usual time, somewhere late in the year. When it comes to the price, we don’t expect bigger changes. The base model will go around 44.000 dollars. Speaking of the competition, there are models like Acura MDX, Buick Enclave, Lincoln MKX, Audi Q7 etc.